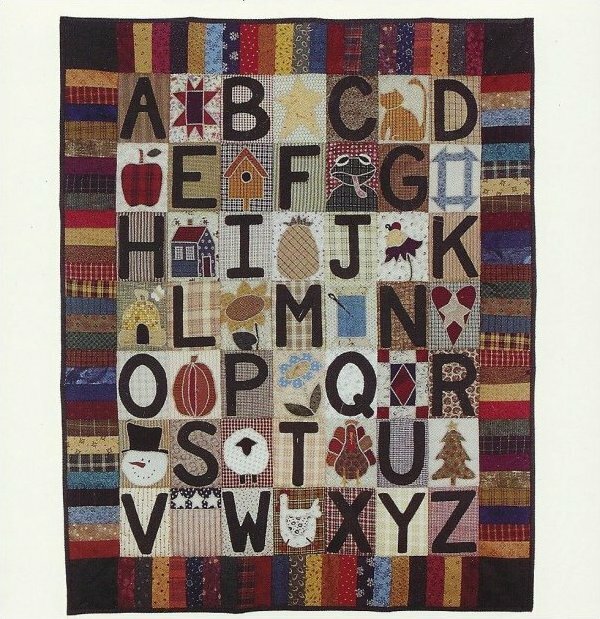 This scrappy wall quilt spells country charm. Pattern has directions using quick fuse applique. ABC Sampler is sure to be a favorite for both young and old alike. ABC Sampler, approx. 27" x 34"